Superman Through the Ages! Forum: The trunks are back! Superman Through the Ages! Forum > Superman Comic Books! > Superman! > The trunks are back! I don't know if anyone will ever see this but apparently the trunks are back as of Action #1000! Re: The trunks are back! The date is April 20th, 2018. 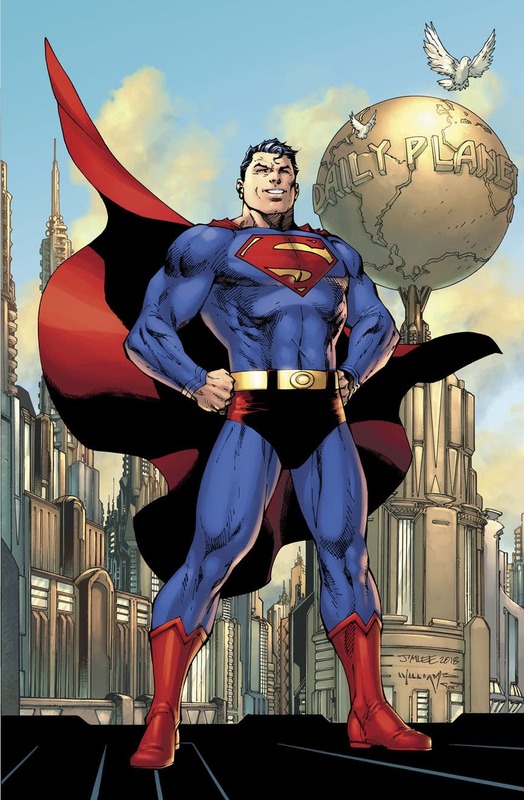 Two days ago, milestone issue Action Comics # 1000 came out, and brought with it the return of Superman's trunks. Every story in the issue makes it look natural and marvelous, like they were never gone at all- save the one drawn by Jim Lee, in my own opinion. Lee should probably stick to the high collar. Everyone else, keep up the good work! My favorite story was far and away The Car. It's about what happened to the big, green, car in Action #1 and what became of "Butch", the thug from the first story. It's definitely a Golden Age story. Written by Richard Donner, none the less! The best stories were the ones that didn't get all the media attention, IMO. Actionland was clearly a love letter to the Silver Age. Even the Brad Meltzer story was really good. If you can find it, I highly recommend it.